I’ve never been a big gambler. When I used to go to Las Vegas for business, I’d occasionally take $50 to a blackjack table and when that was gone, invariably before my “free” drink arrived, I was finished. I read a quote once from Alex Trebek where he said “I don't gamble, because winning a hundred dollars doesn't give me great pleasure. But losing a hundred dollars pisses me off.” And that’s a guy who makes millions of dollars a year for working something like 12 days. My wife and I faced an interesting situation last weekend. The Little Dude was invited to a 3rd birthday party that was being held from 4:00-6:00pm, which is exactly when he naps. At first I replied Maybe to the Evite, hoping that we could make it, but knowing that we probably wouldn’t. But a few days before the event, my wife and I talked and we figured that maybe we should try skipping the nap and going to the party. We knew the stakes were high, like possible blacklisting from future birthday parties if he was a super grouch, but figured we’d gamble with the possibility of free pizza and cake on the line. One thing I can say about my son is that he has always been a good sleeper. He was sleeping through the night just a few weeks after birth, which was wonderful news to a quasi-sloth like me, and still takes nearly 3-hour naps on most days. So it was a big risk for us to pull those 3 hours from him, even if only for one afternoon. We tried to keep the day normal otherwise with a visit to a park that morning, then lunch at home and a little chill time with his new best friends Buzz and Woody. Everything seemed like it was right on track for us to head out to the local My Germ at 3:30. We made sure he had plenty of snacks and even got him three sheets to the wind thanks to some lingering Valentine’s candy. 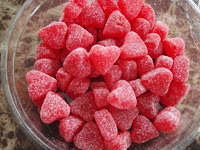 To make sure I was up to the task, I also ate half a bag of sugar-coated jelly hearts just to be safe. We didn’t want to make a big deal out of the nap issue and were prepared to leave the party early if the Little Dude appeared tired or grumpy or passed out under the giant parachute. Why do they call that thing a parachute anyway? Isn’t it really just some sort of vinyl sheet? I’ve never seen anyone jump higher than 3 inches while holding one. When we entered the indoor play place, the Little Dude was in a super-safety-cushioned nirvana. He started running around, jumping on the trampoline and climbing all over the thousand-times-sneezed-on equipment. It seemed like everything would be just fine and our gamble had worked out. But we had two hours to go until the finish line. In a rare occurrence, and I guess the ultimate test of our gamble, we actually arrived at the party on time. If you know us, you know that is rarer than a nun looking for love on The Bachelor. After a while, though, we were faced with a double-or-nothing gambling situation. We’d skirted the tiredness issue, but then the Little Dude spotted the giant ball pit. Don’t get me wrong, there’s nothing wrong with those things. If you are into Staph Infections. We rolled the dice and he jumped in. 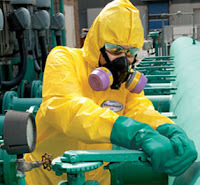 He had a blast but I would have dragged him out if I’d brought my Biohazard outfit from home. Doesn't this look fun (cough, cough)? Eventually it was cake time and he left the pit under his own power. He even went to bed early that night, so the wife and I got a little bonus quiet time for romantic activities like folding laundry. And more importantly, if after swimming in the colorful orbs for an hour the Little Dude doesn’t catch some sort of illness, I may have to return to Vegas with a crisp $50 in my hand. It just might be my lucky day. 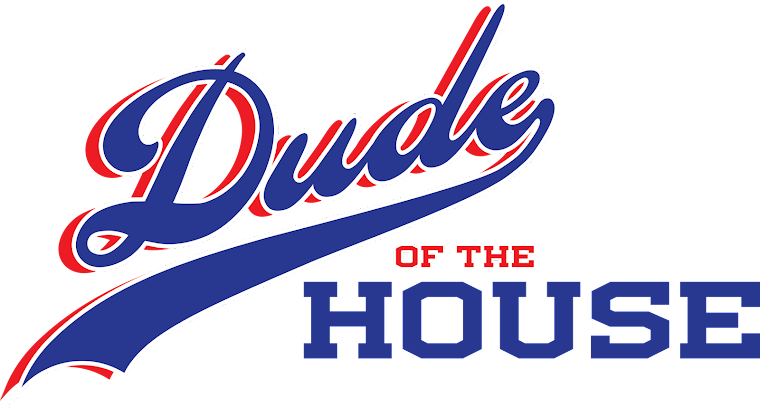 Thanks for reading The Dude of the House. Yup, I'm linking up with the fine folks at Yeah Write again this week. don't forget to vote for your favorites! My friend Bruna is running Let's Bee Friends again, so here I am! Congratulations on surviving the gamble! Messing with a three-hour nap is no small matter. . . Thanks, Louise. For good friends sometimes you have to take the risk. Those balls were so much fun! They make me itch for a bath and some antibiotics just looking at them now. I'd say the gambling gods are smiling down on you. You should take advantage of it while it lasts. Get yourself to Vegas ASAP! Thanks, SG. Yeah, the one thing those play places are missing is a Purell mist for you to walk through on your way in and out, like the spray wax at a car wash. Seriously, I spent that entire post on the edge of my seat. Kudos to Dude and little Dude!! Be prepared to gamble all over again on April 22nd. Same time, same place. Think you'll get lucky again?? As it turned out, it wasn't the day that was the problem. It was that night and the next day. We'll see how things are as we get closer. I remember we got lucky with an early nap last year. Love the A.T. quote - puts gambling in perspective. Great post. Public germs are a troubling gamble! Thanks, PDC. What is streptococcus for $800? So far so good, Nina. After 8 days, something would have turned up, not that I want to jinx anything. Now I can't stop thinking of Kenny Rodgers "gotta know when to hold 'em, know when to fold 'em, know when to walk away & know when to run." Did he take them home or give them back? Kids are really adaptable - as your Little Dude proved! And you do laundry, dude??? Way to go! I'm all over the laundry. I hate it, but I do it. That's why I don't get involved. At least it was only 100 and not 1,000! Kids seem immune to everything! Although, I am pretty carefree and don't think about most things, my hubs is the opposite. SO I see where you are coming from! Glad it went well. I still haven't skipped one of my kiddos naps yet. I'm scared. So you are like my wife and your husband is like me. All in all, she's usually right. I'm the Purell-aholic. So genius to make this comparison. It is such a gamble but since you guys were big winners I would like to invite you to Vegas as well as to the next birthday party we are asked to attend during nap time....you are like lucky dice! Sounds good. Let me know when and where! Nap time is precious time - that was a gamble for sure! Glad it paid big! "My Germ" had me laughing out loud! Best code name ever! That place should have a Purell mist as you walk through the door. Thanks, Chris. I think not going to My Germ might help more than Echinacea. But I'm willing to try anything. Thanks for your #CommentDay help! You gambled and won, well done! :) It's always a scary feeling heading out of the house, knowing you're pushing your luck. Thanks, Christopher. Sometimes you just have to go for it. Ugh those balls really do gross me out. Great story. Agreed that those darn ball pits are hazardous. Going to Vegas? Don’t get me wrong, there’s nothing wrong with those things. If you are into Staph Infections. 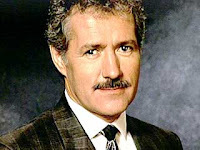 I hope it works out well for you, but I'd side with Trebek on whether to hit Vegas if no illness descends. Thanks, Deb. Glad you didn't have any milk-through-the-nose situations. I'm gonna hold off on Vegas for the moment. Thanks for reading!